Joomla is one of the most popular Content Management Systems on the web, along with more than 89 million downloads, 2 million web sites, and 1,200 volunteers. Many world’s renowned companies and brands like National Disability Services, Golf della Montecchia, Titan Garages and Sheds, American History Calendar, E-Style, and so on are relying on Joomla to grow their websites or build online applications. 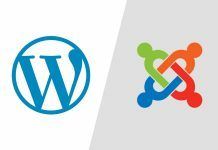 Similar to WordPress, Joomla CMS comes with both a free hosted version and a paid self-hosted version. In this article, we’ll focus on guiding you through the detailed process of starting a self-hosted Joomla website with Bisend. #1. Get a domain name. Before you can even think about building a Joomla website, you’ll need a distinguished domain name that echoes your website content. No matter which platform you’re going to build with—WordPress, Joomla, or Drupal—domain name should be ranked high on your website element list. Having a premium domain name is not only helpful for instant brand recognition and trust & authority, but also beneficial to your search engine rankings. If you don’t have a domain name yet, you can register one with Bisend. Step 1. Go to Bisend Domain Store and type in your chosen domain name. Step 2. If your domain name is available, select the one you desire and click on the Register Now button on the right side. Step 3. Decide the service term between 1, 2 and 3 years. After that, click on Check Out Now button. Step 4. Enter your personal information to create an account. If you have one already, just login. Step 5. Complete the payment process via PayPal. Ending with an appropriate domain name extension like .co, .info, .net, .me, etc. Aside from a domain name, you’ll also need a web hosting service. Given that Joomla 3.x is running better with PHP 5.6 or 7.0+, MySQL 5.5.3+, and Apache 2.4+ or Nginx 1.8+, namely in a Linux based environment, I recommend you to purchase a Bisend Joomla hosting plan. As you can see, there are three options you can choose from: Standard, Pro and Business. You should make your decision based on your website size as well as budget. Besides, you will also need to decide your data center location and service term. After that, click on Get Started button to proceed with the payment. 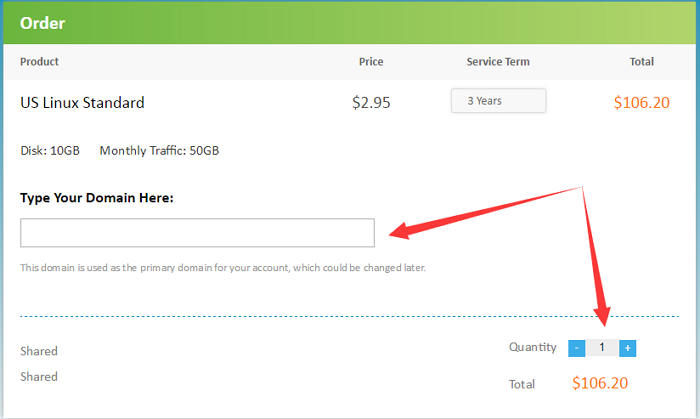 On the next page, you will be required to type your domain name and select the quantity. Then, click on the Check Out Now button and complete the payment process via PayPal. It’s no need to reinvent the wheel when you can rely on the control panel to do all the heavy lifting for you. Upon purchase, you can receive a free Plesk Onyx license in your hosting account. Typically, the detailed information including your username and password will be emailed to you when we confirm your order. 1.Log into your Plesk panel. 2.Go to Applications > Featured Applications tab, and following page appears. 3.Click on the Install and choose a version of Joomla to install. a.Install – If you expect an fast installation, select this option then you can have the latest version of Joomla installed. b.Install (Custom) – This option will allow to customize administrator user during installation. c. Install Version – If you have a particular desirable version of Joomla, you can select this option and install the desired Joomla version from the dropdown menu. 4.To complete the installation, you still need to accept License Agreement terms and click Next> button. 5.The next page requires you to fill in some information, including which location you want the application to be installed, your admin username & password, your database username & password, etc. Click on Install button to proceed. 6.Once your Joomla installation completes, MY CMS page appears. 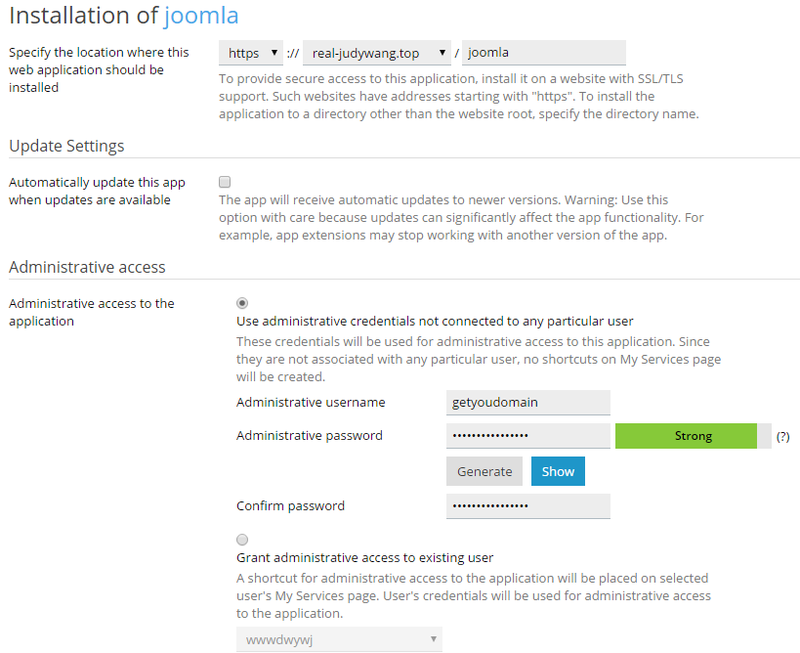 You can receive your Joomla access details in this page. If you wish, you can also change installation settings by clicking on the Change Settings tab. 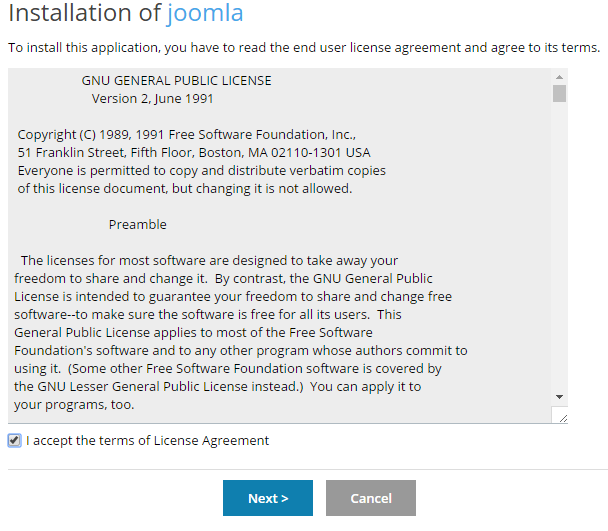 Now, you should be able to install Joomla independently. 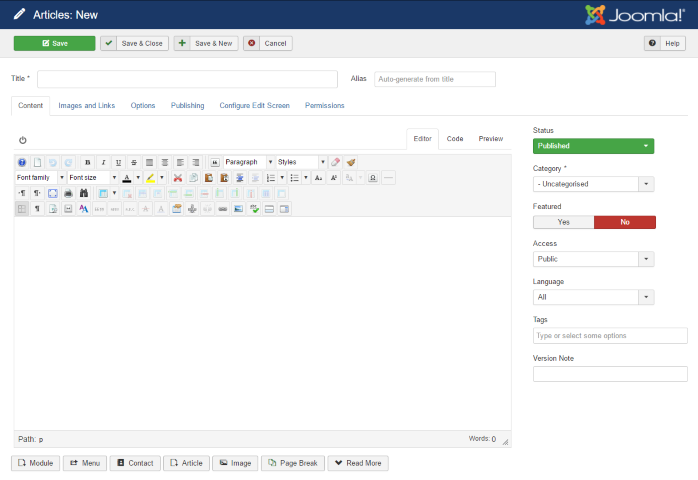 After logging in the admin panel of Joomla, you will see a total different dashboard design from WordPress. The content management system has got some features on the top and the left side of your screen. Before writing your first blog post and publishing it, getting familiar with different feature sections of Joomla is also important. 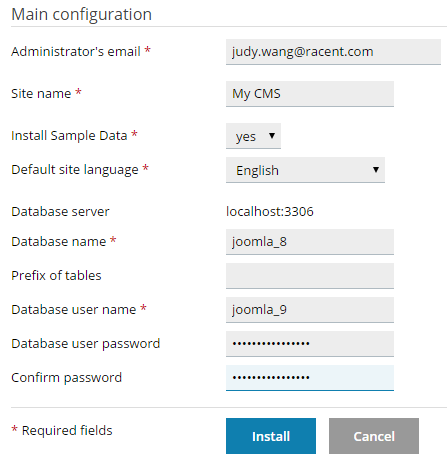 As you can see, the menu across the top of the admin area comes with everything that an administrator will need to do with their Joomla website. On the left sidebar, there are many structured utmost options for you to create and manage the website. The menu across the top is divided into seven sections, do you know exactly the individual functions of each section? Let us explain to you. System is the entrance of the Global configuration of your Joomla website. As an administrator, you can change the settings about Site, System, Server, Permission, as well as Text Filter to improve the whole site’s experience. 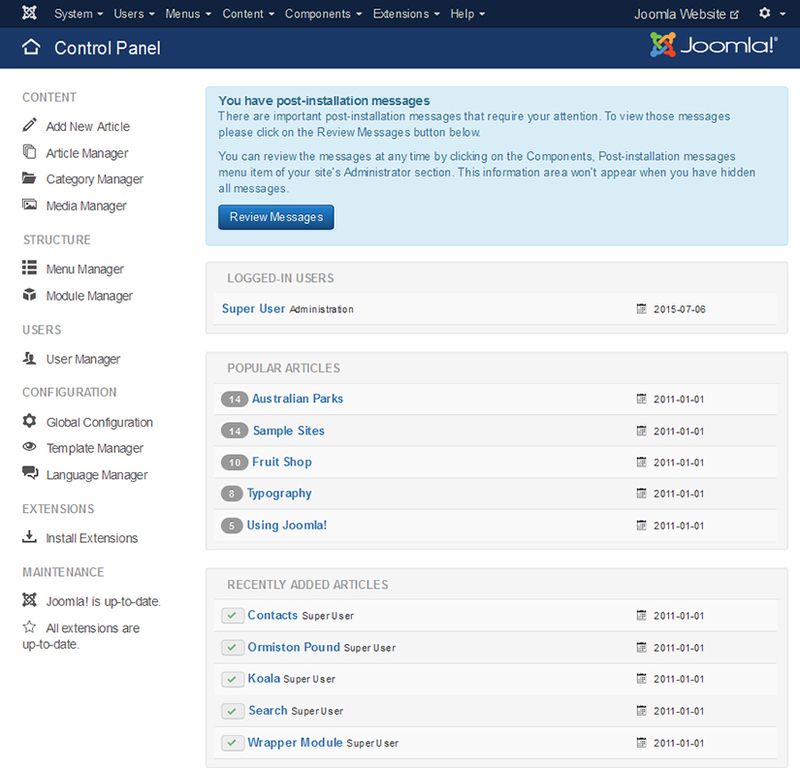 Users enables the main administrator to add new users, groups, and new access level to the Joomla website. 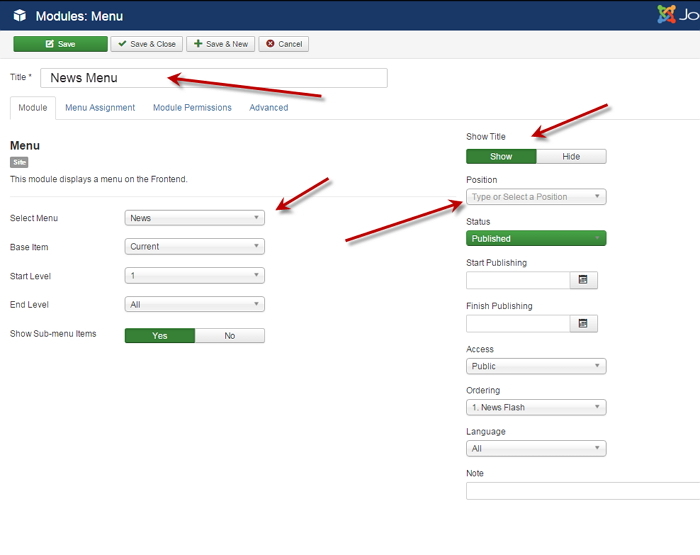 Menus offers the options to create and manage the navigation menu of your Joomla website. Content allows you to add new article, category, plus make featured articles and manage the media files. Components includes the main functional constituent of a Joomla website, such as banners, contacts, Joomla update, messaging, news feeds, post-installation messages, redirect, search, smart search, and tags. Extensions consists of options that can help extend your Joomla website’s functionality. Modules, Plugins, Templates, Languages are all called extensions in Joomla. You can install, update and do other management to these extensions in this section. A template controls the overall look and layout of your Joomla website. It offers the framework that not only brings together common elements, components and modules, but also provides the cascading style sheet for the site. Both the back-end and the front-end of the site have templates. For installing a template in Joomla, you should go to Extensions > Templates, then you will see the Template Manager screen. Install from Web – It means that you can directly have the extension installed directly from Joomla Extension Directory ( JED). Upload Package File – Mostly used when you want to install a customized extension, and upload file from your PC directly. Install from Directory—You give the path of directory, then the extension will be installed accordingly. Install from URL – You can type the URL to the extension. Here we take the Option 2 as example, show you how to install a template via uploading it from your PC. You click the Upload Package File tab and see the following screen. Then, select a package location and click the button ‘Upload & Install‘. If everything is alright in the package, you will get a success message like the below window shows. After successfully installing a template, you may want to verify it. For this purpose, go to Extensions > Manage tab, and then set the Type filter to Template. If the template was properly installed, it will appear in the list. Now, you can start assigning a style as default or assigning it to a menu item. 3.Click the Content > Articles menu item to open the Article page, then click on the New button. In the New Article page, you will find many options that enable you to categorize and name the post, edit your content and select parameters, etc. Now, compose your article in the editor and give it a title. On the right-hand side of the screen, you can select a category, decide whether or not to display the article on the home page, set access restrictions, assign the language, add tags & version note to your article. As soon as you finish writing your article, click Save & Close button on the top side. If you want to view the article you have just added later, you can go to Article Manager screen, where all your articles will be displayed. Surprisingly, Joomla lets you make an article featured or archived. Just select the star next to the title of an article to the left, it becomes a featured article as expected, which will then display on the front page of your Joomla website. You can create menus in your Joomla website for flexible navigation. · Go to Menus > Manage > Add New Menu page. · Select Menu Manager and click the New toolbar button. After that, you will be required to input the Title, Menu Type and Description information of the menu. There are two toolbar buttons you can click to finish and save your operations–Save and Save & Close. The difference is, the latter will return you to the previous page of Menu Manager. Once the menu is saved and closed, it displays in Menus list. If you want your menu to be displayed on the website, you need to assign a module position to it. 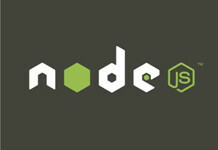 Therefore, you need add a new module to your Joomla website. The easiest and quickest method to setup the module for your menu is going to the Menu Manager page, and clicking on Add to align a module to this menu type. Alternatively, you can setup a Menu Module via Module Manager. There are some basic information of the Menu Module, including creating a descriptive title, selecting the name of the menu, selecting a position where you want the menu show up. After that, click the Save or the Save & Close to create a new Menu Module. Now, you can see the menu on your Joomla website. If you wish, you can also create more pages the same manner. Security is always a big concern on the web, regardless of what content management system you are using to get started. As a beginner, it’s very important to have the best security practices. Back up early and regularly. It is advisable to set up a regular backup and recovery process once you finish the Joomla installation. This give you the opportunity to recover the site from no matter how an imaginable disaster. Keep Joomla updated. Always update your Joomla Core as well as any installed 3rd party extensions to the latest versions. It is important because most often new updates can protect you from newest vulnerabilities and fix any patches discovered. Use a SSL solution. This is especially important when your Joomla website collects personal information like credit card numbers or passwords. An SSL certificate can encrypt the transaction data and show your visitors the credibility. Moreover, it comes with SEO benefits. If you’re looking for an affordable premium SSL certificate solution, please check out our SSL Store page. You can add as many articles as you want for scaling your Joomla website. You can also organize your articles into different categories for easily filtering purpose. Joomla doesn’t daunt the learners. Once you begin with Joomla, soon you become used to. There is a very big community of Joomla. If you ever get stuck at some point, this community will be readily available to you. However, an easier option is be a Bisend shared web hosting customer and directly consult our support technicians. 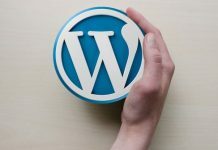 Or, instead of Joomla, if you want to build with WordPress CMS, please refer to our How to Start a WordPress Website with Bisend. 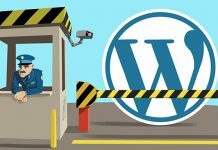 Next articleHow to Fix WordPress Internal Server Error? 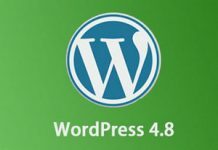 How to Change WordPress Language?